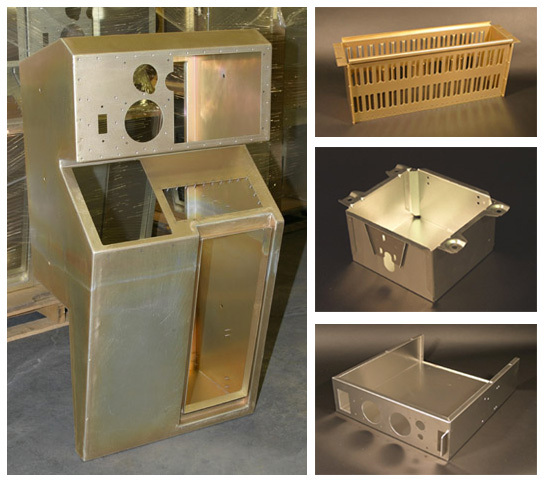 Precision sheet metal fabrication is a specialty of Imec. 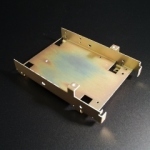 Cabinets, panels, housings, control boxes and covers are just a few of the types of components Imec regularly manufacturers in small to mid-lot sizes. A laser cut or turret punched blank, carefully deburred and grained for cosmetic appearance, is the beginning of an Imec fabricated item. Bending on our 8 axis CNC controlled press brake would probably be next, or possibly some machining in our machine shop. Spot welding, or TIG (GTAW) or MIG (GMAW), and then some contour grinding, and the part would be nearing its final shape. Add some internal reinforcing angles, shelf or other additional pieces, and the assembly is ready for finishing. 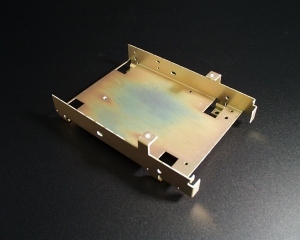 Threaded hardware would be inserted before powder coating in our plant, or in the case of a plating finish, the hardware would be inserted after plating. Selective paint masking may be required, and often silk screening is required to finish the item. Careful packaging to ensure the assembly gets safely to your production line, and prompt and accurate invoicing finish the job. If the described part sounds like it could have been one of yours, then Imec should be considered as a vendor for you. We look forward to “meeting and exceeding your expectations”!